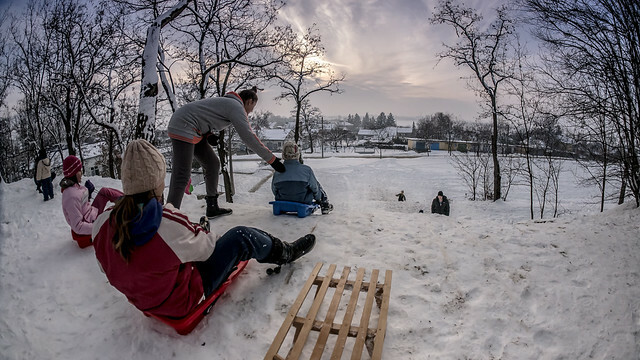 Above: Kids taking full advantage of snow covered hills in Petofibanya. After returning home to freezing cold Hungary and having a week to settle back in, I (Allen) flew out to the island of Malta for a week long church planter training course with Pioneers. I stayed in the same area that the apostle Paul was shipwrecked. 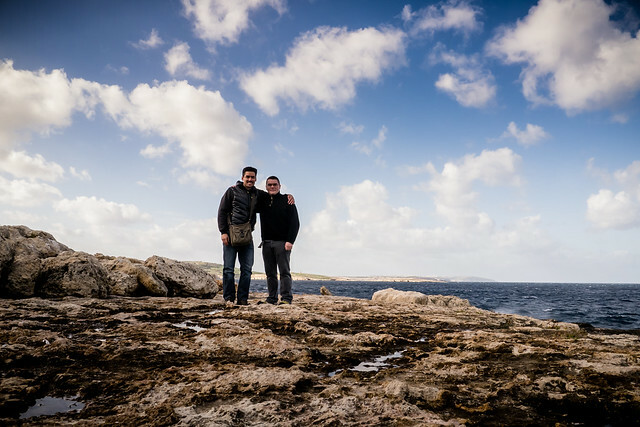 Above: Allen and roommate Adam in Malta. 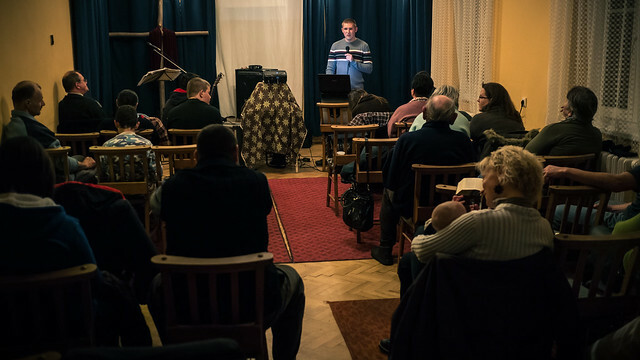 Part of our training involved applying what we learned about living our faith ‘out loud’ each night in the community. This lifestyle is based on Deuteronomy 6, where the LORD says about His words, “You shall teach them diligently to your children, and shall talk of them when you sit in your house, and when you walk by the way, and when you lie down, and when you rise. 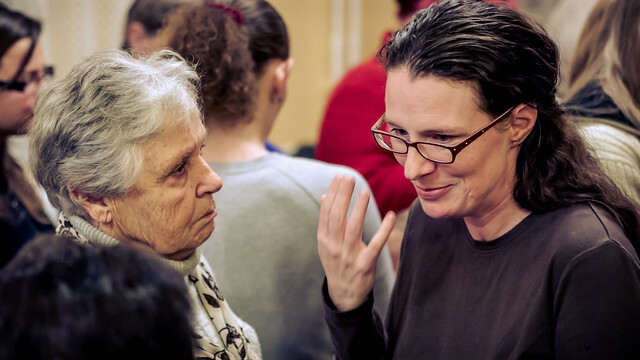 You shall bind them as a sign on your hand, and they shall be as frontlets between your eyes.” Instead of allowing everyday interactions escape without seeking to give opportunity for conversations to turn toward God, we were learning to be more intentional. If the person showed no interest, there was no need to go further in the conversation, but if they were open we could talk more about the hope we have in Christ. 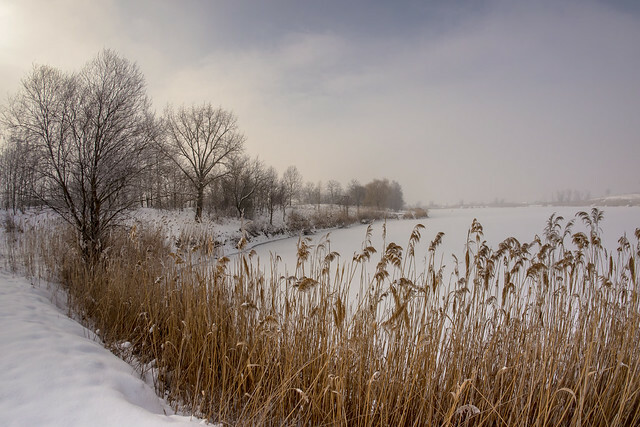 On one particular night, five of us got together to pray asking for God to lead us that night as we went out to dinner and guide us to the people He desired us to speak with. We ended up in a Chinese restaurant. When the cook came out of the kitchen just as we received our meal to see if everything was alright, I asked if we could pray for him since we were about to give thanks to God for our food. He said yes and in the midst of our praying for him he slipped away into the back room. I thought, “Well, that was that, I guess he’s not interested in spiritual things.” A few moments later he came back out and said how thankful he was for our prayer. 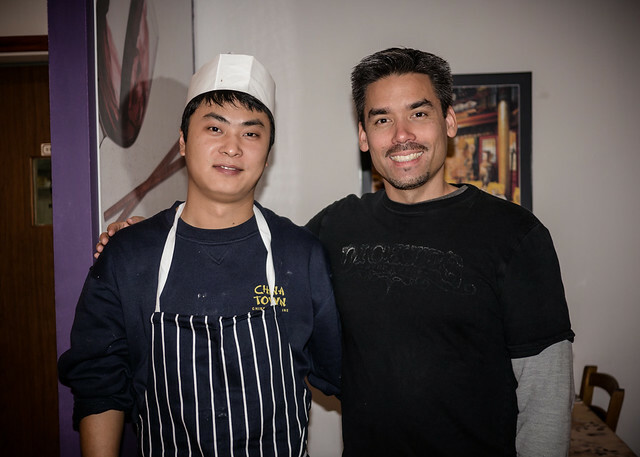 Lou went on to tell us that He was from China and just opened this restaurant a month ago. He told us that he had a friend years ago that gave him a Bible and helped him understand what was in it, but that friend moved back to China. Wow! The next night, I returned with my Bible to show him where he could start reading and how to study the Bible. His little brother told him I was there again and he came out from the back room with a Chinese Bible in hand that was the same size and color as my Bible. Since leaving Malta, I continue to pray for Lou and his family. Lord willing I will be returning to Malta in April and hope to see Lou again. I told Lou about my return trip on the last night we were together. He smiled and said, “Maybe by that time I’ll also become a Christian.” Pray that Lou would have a hunger for God’s word and that he and his family would put their faith in Jesus and be saved by God’s grace. Above: By God’s grace the church in Petofibanya continues to grow and we praise Him for drawing more and more people to Himself. Are you up to the challenge…try to find our four kids in the picture (Ben, Ellie, Kira and Ziva). 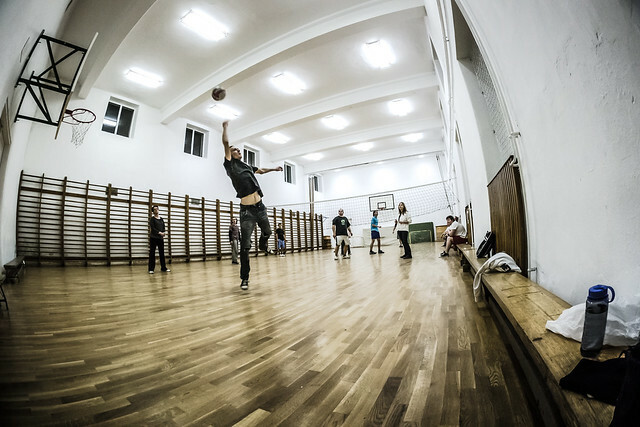 We are praying for God’s direction on a new meeting place as we are out growing the local community center we have used for the past eight years. Of course this is a great problem to have, but nevertheless it is a problem. Above: Gabi all grown up preaching on Sunday. It is such a blessing to see kids we invested in through the years grow up and mature in Jesus Christ. Gabi along with Peti are two ‘junior’ leaders that our team is mentoring and meeting with weekly. Above: Kitti and Daniel recently visited and have since been coming regularly on Sundays. Kitti came to one of our hiking outreaches years ago but then we lost touch. Now years later God is drawing her back to Himself. Above: Erika leading one of our three break out groups in the Ethics Class we were invited to teach last week. How amazing that we are able to read the Bible together with these kids! Our lesson was on questioning the reason behind who we follow as people. Are they truly worth following? We gave the kids some time to look through the Scriptures and see for themselves what those who knew Jesus said about Him. We’re thankful for this open door and for the opportunity to continue teaching these kids Biblical truths throughout the year. 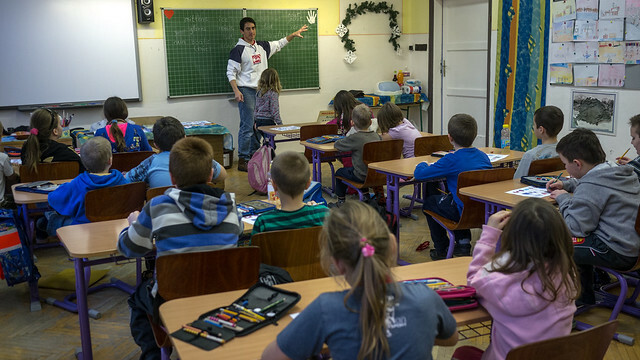 Above: Roger teaching English Club in Petofibanya’s school, another opportunity to bless our community and make connections with families. This is an optional class and it is packed each week! 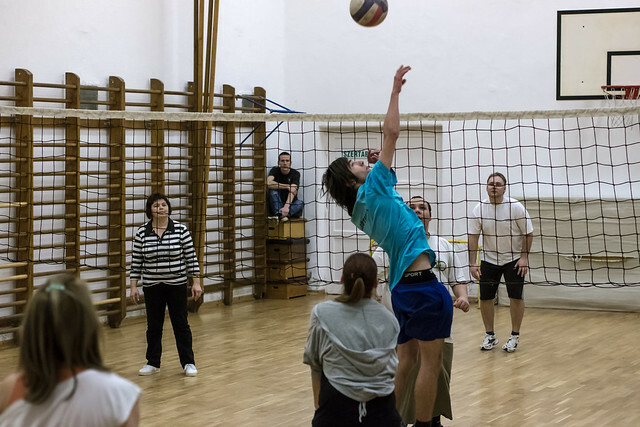 We continue to meet once a week for volleyball which brings together people from all kinds of backgrounds from the community. Jennifer and Timi who were recently baptized in our church initially met us through volleyball. This is neutral ground where people aren’t intimidated. Please pray that more who first come to know us through volleyball would want to know more about our Savior Jesus. 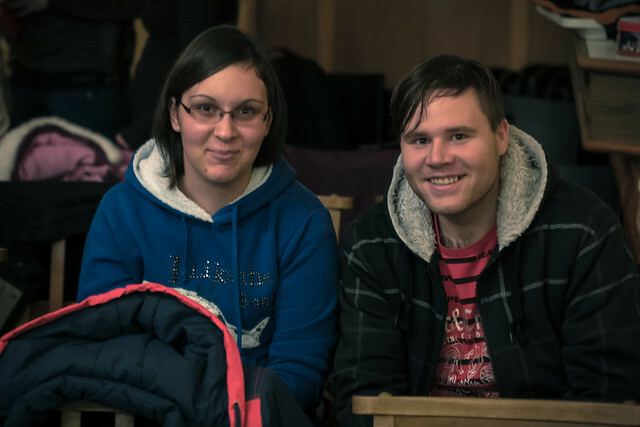 Above: Gyula and Zsuzsa also attend our house group. 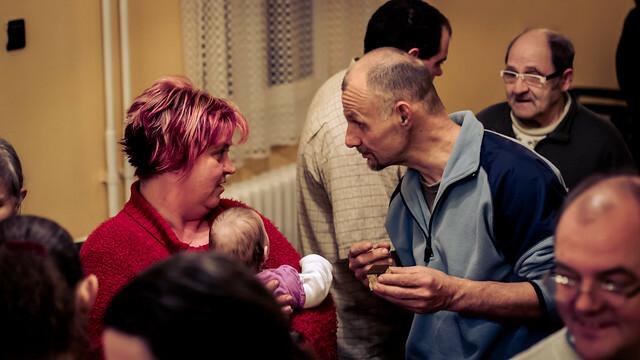 Zsuzsa is a grandmother who cares for two children that were abandoned by their parents. 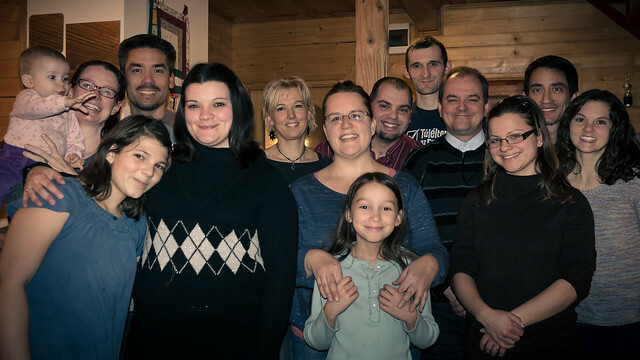 Above: Most of our church planting team (except for Gabi, Tomi, Ági and a bunch of kids). We praise God for bringing us together and unifying us in Jesus Christ. Our team works hard to love and encourage each other and each person works just as hard carrying out their specific God given callings in ministry. We are very encouraged to have such a supportive family here seeking to glorify God together. Teammate Brenda (with Elianna in the center) just returned to the US for furlough. 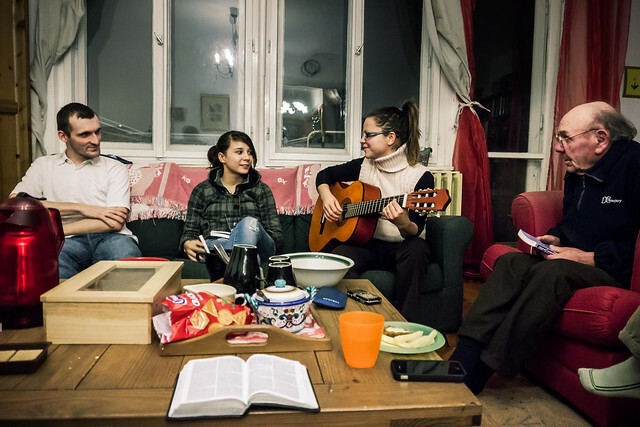 Please pray for her, that she would be encouraged, refreshed and fully supported upon her return to Hungary a few months from now. 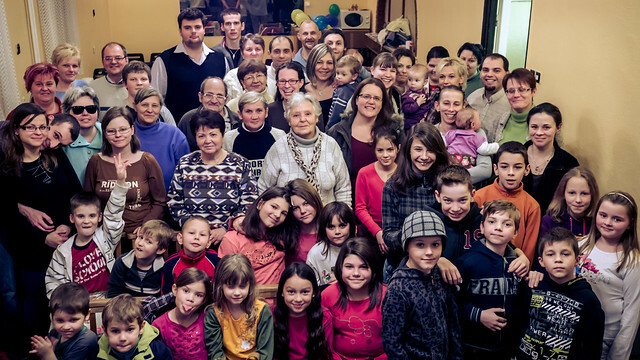 We appreciate your continued support for our family and ministry in Hungary. We were amazed at God’s provision through many of you to allow us to return to the US for Evelyn’s memorial service. It was truly a special time. We are privileged to have you all in our lives!